This academic year QUIT are delivering informative presentations to 50 primary schools around North Somerset. The Smoke Free Family Life programme , in association with North Somerset Council, aims to work with young people and their families to encourage parents and carers to take steps to create a smoke free environment for their children. The programme takes a holistic approach to quitting smoking with booklets being given for both the children themselves and their parents. The presentations last one hour and are delivered to years 4, 5 and 6. Throughout October and November I made several visits to different schools throughout North Somerset, presenting QUIT’s Smoke Free Family Life programme to primary schools. Starting with Churchill Primary School, everything went down without a hitch. The children were all very receptive throughout the presentation and really keen to volunteer. Having been asked about e-cigarettes during the presentation it was great to see that afterwards a child approached me to find out more. She said her dad used to smoke cigarettes and now uses e-cigarettes but she was going to go home and would share with him all about what she had learnt. I visited a few other schools during November such as St Josephs Catholic Primary School in Portishead, Court-De-Wyck Primary School in Claverham, Backwell Junior School and Burrington CE Primary School. Two of these presentations were held in classrooms so the children got to have an up close look at the tar jar and all the different ingredients used in the presentation. The photos and the ingredients show – where we present to the children some of the over 4000 ingredients in a cigarette – are particularly popular, spurring lots of conversation. During the presentations I received a lot of feedback from the children especially during the question and answer sessions which is really popular with the children. It’s great to see that they have lots of questions because it shows they’ve been fully engaged in what we’ve been talking about. The presentations I have delivered throughout October and November have been very successful. I can see this through the children’s active and vocal responses as well as through their questions and comments. It’s been really enjoyable to help give these children all the facts about smoking through these presentations. QUIT’s Youth Presenters have worked extensively in Luton this year, visiting a variety of schools and delivering a variety of presentations and workshops on smoking and its effects on young people. We have worked with around 395 young people in various schools, from years 8-11. QUIT presenters are responsible for informing young people about the dangers, and short and long term effects of smoking. One of our most effective methods of communicating these is through presentations, highlighting some of the consequences of this habit. While it would be easy to focus on the more widely-known elements such as lung cancer, QUIT considers the impact of smoking on a variety of different areas of life. We consider how smoking affects your looks, social life, relationships, physical wellbeing and finances, to name a few. By exploring these factors through slides and discussion, it allows young people to appreciate the wide ranging consequences that smoking can have, and recognise that it can be damaging in more ways than one – some ways much more immediate than others. QUIT prides itself on being a company that promotes the freedom to choose. 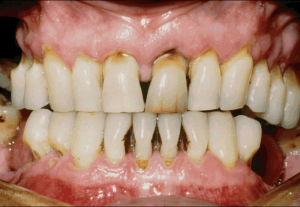 All presenters are keen to highlight that smoking is a personal choice that everyone is entitled to make, and we are always careful to ensure that young people do not feel that they are being lectured or intimidated. Rather, we encourage the young people that we meet to form their own opinions on smoking, but ensure that they have the facts and details they need for informed ideas. A great deal of the work we have been doing in Luton has focused on equipping students with key information to make their own decisions about smoking, and our presentations have been extremely effective in doing this. We have delivered two different presentations within Luton – our Key Stage 3 for years 8 and 9, and Key Stage 4-5 for years 10 and 11. Both have been remarkably well received and have prompted some interesting discussions and debates within class about smoking. Key Stage 3 explores several of the effects of smoking, and aims to do this in a manner that relates to young people. By showing images of smokers’ skin, teeth and internal organs, and relating the cost of smoking to different items that could be purchased with that money (a contract phone, for instance) it allows young people to appreciate the reality of what can be deemed a “cool” or “glamorous” habit. We also present an interactive ingredients show, whereby we mix several of the ingredients found in a cigarette into a “cigarette cocktail”, demonstrating the unpleasant combination of chemicals that make up a cigarette. Young people in Luton have responded really well to these presentations, and have been particularly engaged during the practical ingredients show. Groups have responded really well to discussions, ideas and myths about smoking, and while several were very shocked at the pictures of various parts of a smokers’ body, they agreed that it was something that they would never want to have to live with themselves. Our Key Stage 4-5 presentation has also been delivered in Luton schools this year. This presentation has several similar themes, but as it is aimed at older students it deals with other issues that may be relevant to them. Groups discussed sexual health and the damage that smoking can do, as well as a more detailed examination of the tobacco companies and their ethical practices. Groups also discussed the reasons why people might choose to smoke, and debated whether any of these were good reasons (or whether some were at least better than others) Most groups decided that some reasons were indeed better – for example, it is better to smoke if it relieves your stress than if you are only doing it because your friends do – but the majority of groups agreed that there were no really good reasons to smoke. Key Stage 4-5 groups also discussed alternatives to smoking such as cannabis and shisha. These were topics that groups were exceptionally interested in, as many had heard of these as “safe alternatives” to smoking. 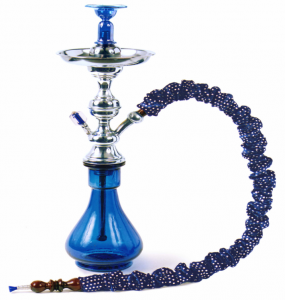 Several were shocked to hear of the damaging effects of both of these alternatives, and many were fascinated by the idea that shisha especially can be so dangerous. Most students were surprised by this new information, and claimed that this was new information which would make them think much more carefully about alternatives to smoking, as well as smoking itself. In addition to presentations within schools, QUIT has also worked in several Luton schools more extensively, training pupils as Peer Mentors. These are young people who have been selected by their school as positive role models, and they have been responsible for delivering the anti-smoking message to the rest of their school. Since their training, several have worked one-to-one with students who are struggling with smoking and offered advice and support, and many have delivered smoking presentations and workshops in lower school PSHE classes and assemblies. QUIT presenters have worked alongside these young people to prepare them for this responsibility. All mentors attended a two day training where they were not only informed on the dangers and effects of smoking, but explored effective mentoring techniques and considered how they could positively benefit those around them. Using techniques such as role play, improvisation, devising and forum theatre, pupils have explored effective mentoring techniques and considered how they could use these to support someone who needed help. QUIT presenters have supported these young people and ensured that they feel confident and comfortable when mentoring others. They have also helped pupils consider how to take the programme forwards in different schools, ensuring that their positive work can benefit others. Mentors have set up lunchtime drop-in sessions, worry boxes in classrooms, and one-to-one meetings with pupils in need of additional support. Overall the work that QUIT have done in Luton this year has been extremely positive, and the young people we have met have been engaged and interested in the work we are doing. Pupils have responded really well to the interactive nature of our work, and whether it has been a presentation, training, or workshop, have taken ownership of their session and asked questions to ensure that they take as much from the experience as possible. Students have been mature and engaged, and many have commented that they will now never smoke, which is extremely positive. QUIT will be launching their new online interactive education resource from September 2014, Breathless TV. This promises to be an entertaining and informative look into the dangers of smoking – why not subscribe and use it as a resource for your school? Organise a quiz filled with facts on smoking, which pupils can enter. Prizes for winners! Invite pupils to follow our website: QUIT BECAUSE our Facebook page: https://www.facebook.com/QUITFriends or to follow us on Twitter: https://twitter.com/quit – here they can find information about smoking, as well as games, discussions and competitions! What did the Presenters think? “I have really enjoyed spending so much time working in Luton this year. Delivering presentations to such engaged young people has been a joy, and it has been great to hear so many different opinions about smoking. Whether you smoke or not, it is something that we will all encounter at some point in our lives, and I think it is crucial for young people to make up their own minds about how they feel about it. In every school I have visited, pupils have been attentive and willing to learn, and many have commented that what they saw and heard has convinced them not to smoke. The Peer Mentors I have worked with have made real progress within their schools and are working incredibly hard to encourage people not to smoke and to make their school environment a better place. They are wonderful role models and should be very proud of themselves.